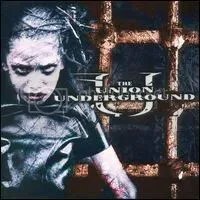 The Union Underground were one of two new acts (Mars Electric being the other) that were signed to the revitalized Portrait Records in the late 90s. The John Kalodner-led Portait was mostly set up as a haven for 80s rock & metal acts, in an attempt to copy the success Kalodner had with turning Aerosmith from a tired 70s act to a popular act back again in the 80s. I LOVE this album. “Turn Me On ‘Mr. Deadman'” was a minor hit and hooked me enough during my experimental phase to give this new band a shot. The truth is, the album still holds up. It’s extremely catchy nu metal/industrial metal. It stays melodic and never crosses too much over into the typical cold industrial sound. It’s a very dark album though and the use of drugs is commonly mentioned, so it’s not a “feel good” album and I have to be in a special mood to want to hear it. Sadly, the band didn’t do much after this album (which just fell short of going Gold). They put out a live album after this but, oddly, their most well-known song is probably “Across the Nation”, which was used as the theme song to WWE RAW for a few years and was released on a WWE compilation album. John Moyer now plays bass for Disturbed. Highlights: Can’t pick just one, it’s all very good.